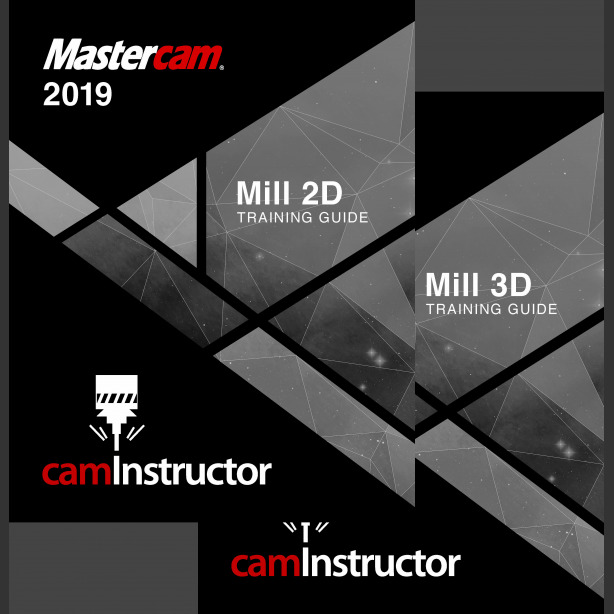 12 Lessons from the Mill 2D Training Guide on how to use Mastercam to create 2D Geometry, 2D Milling Toolpaths and how to use the Work Co-ordinate System. How to use Mastercams new High Speed Toolpaths. How to import a Solid Model from SolidWorks, Inventor and Creo and use Mastercam's solid chaining features. 8 Lessons on how to use Mastercam to create 3D Surface Models, Solid Models and 3D Surface Machining Toolpaths. 22 Exercise Drawings and 3 Advanced Exercise Drawings.